During our previous Lego leak, we were hit by multiple DMCA requests and two legal notices from Lego. 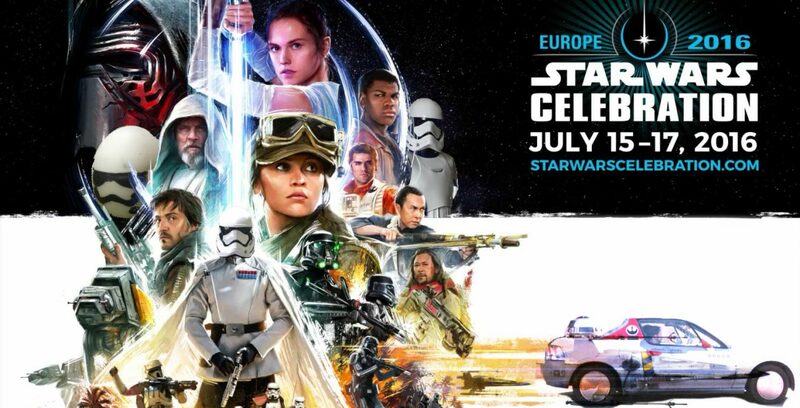 Sadly, Stormtrooper Larry can’t repel firepower of that magnitude. This time, the photos will be hosted offsite. 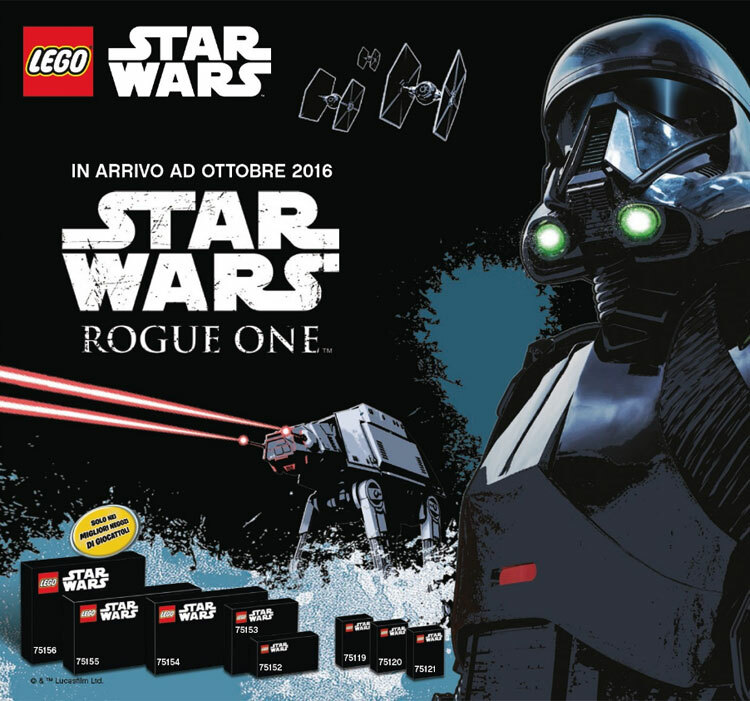 Twice each year, Lego comes out with a catalog for the remaining half of the year. 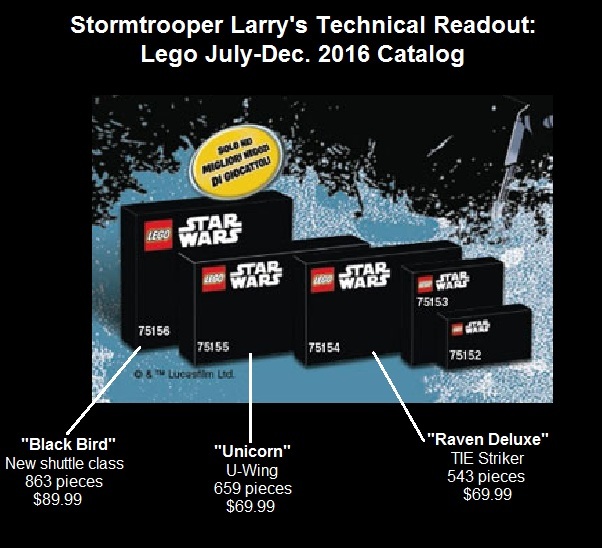 And like clockwork, the Lego Catalog for July – December 2016 came out a few days ago. But the Lego catalog is not the same globally. In fact, there are tiny differences between each country. While Portugal and Spain get 140 pages worth of Lego goodness, the Aussies have to make do with just 100 pages. Lego forced us to edit the original photo. Click on the image for the unedited pic. We’re guessing these are just code names for the actual ship models. 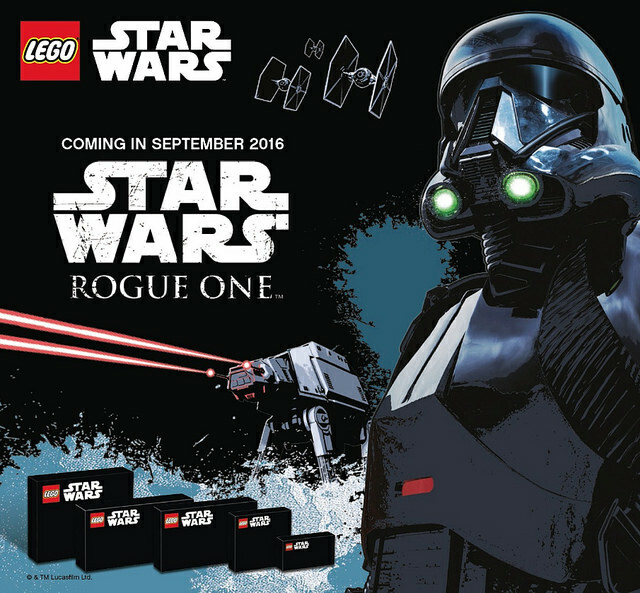 After all, the Hasbro Black Series figures for Rogue One have names like “Seal Droid” (K-2SO), “Blue Seal Communicator” (maybe Riz Ahmed), “Shark Trooper” and “Green Seal Leader”. These are obviously placeholders for retail SKUs until the Disney marketing machine gives the green light. What goes against an X-wing and happens to match the Lego set number? The TIE Striker. And why is it labeled “Raven Deluxe”? Because the normal “Raven” is probably the regular TIE Fighter! And that concludes our Lego investigation.